The Neighborhood Cruisers held their annual fundraiser "Cruisin' for Kids" on August 4, in honor of Gabrielle DiCarlo, a local five year old who is currently battling cancer. Last night, at Gennaro's Restaurant in Stony Point, the Neighborhood Cruisers presented Dominic DiCarlo (Gabrielle's father) with three checks, totaling in excess of $8,400, to help with the costs associated with Gabrielle's medical care. The funds were raised through a variety of efforts; raffles, 50/50 tickets sold during their weekly Cruise Nights at Gennaro's, local business and personal donations, and their annual event at North Rockland High School; Cruisin' for Kids. Bob DuBois, President of the Neighborhood Cruisers, described the club's fundraising efforts as a "labor of love" and that the club was proud to be able to do something for the DiCarlo family. THIELLS — It was hard to tell who was having the most fun at Saturday’s annual Crusin’ for Kids event — car owners showing off their vehicles, spectators eyeing the automotive beauties or little Gabrielle DiCarlo. For the 5-year-old Stony Point girl, the event was more than a fun day with a bounce house and other activities. It was a way for the community to show its support for the battle she has been waging since February against a rare form of cancer. “It means so much to us that so many people — even strangers — care,” said Nicole DiCarlo, Gabrielle’s mother. The little girl, the couple’s third and youngest daughter, was diagnosed in February with neuroblastoma, a cancerous tumor that in her case attached itself to her adrenal gland and grew through her bloodstream to her heart. She had a marathon 12-hour surgery followed by a 62-day stay at the Morgan Stanley Children’s Hospital at New York-Presbyterian. Round after round of chemotherapy has followed, with more planned. But Gabby obviously didn’t have that on her mind as she played with other children and looked at the classic cars in the parking lot of North Rockland High School. The little girl, who will turn 6 in September, wore a wide-brimmed floppy hat over her hairless head and was all smiles. Her parents said that support from the community is helping them through the ordeal. “I tell everybody, ‘If you smile, she’ll smile,’ ” said her father, Dominic. All proceeds will benefit the DiCarlo family. On Feb. 9, 2011, Gabrielle DiCarlo was diagnosed with a rare cancerous tumor that attached itself to her adrenal gland and grew through her bloodstream to her heart. Doctors said it was the only case in the world of its kind. Gabrielle, now 6, will benefit from the proceeds of Cruisin’ for Kids on Saturday, an annual charity event organized by Neighborhood Cruisers. 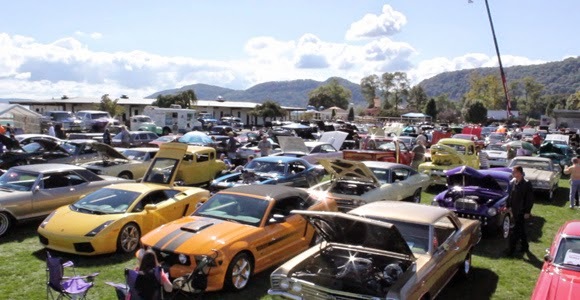 In 2001, some car lovers decided to have a car show so that they could give back to the community. The first Cruisin’ for Kids was in 2002. The group has raised more than $250,000 in the past 10 years. “There was nothing better to do than to help children,” said Bob Dubois, an event organizer. 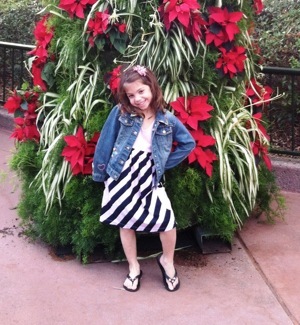 Before being diagnosed, Gabrielle was an active child and part of a cheerleading team. Her mom, Nicole DiCarlo, said Gabrielle made a lot of friends in kindergarten; she was a very outgoing girl and still is. And though she’s still undergoing treatment, her mother said cancer has not changed who Gabrielle is. “She is 6 going on 16,” DiCarlo said. The family was in Orlando, Fla., when Gabrielle had a seizure in the middle of the night. She was rushed to a hospital. She had another seizure in January and doctors treated her for dehydration. It wasn’t until February 2011 that she was diagnosed and on Feb. 23 she had emergency surgery. It took 14.5 hours for doctors to remove the tumor. The car show is open for anyone who wants to participate. It is scheduled for 8 a.m. to 4 p.m. Saturday at North Rockland High School, 106 Hammond Road, Thiells. The band Flat Five will be among those performing. A clown, a bouncing castle, an ice-cream truck and a merry-go-round will be there for the kids. Admission is free. There is an entry fee if you want to enter your car in the show. Food and raffle tickets will be sold. On July 30 Neighborhood Cruisers, Inc. held a small car show at Gennaro’s Restaurant in Stony Point to raise awareness for their annual Cruisin’ For Kids Benefit at Clarkstown North High School on August 4. 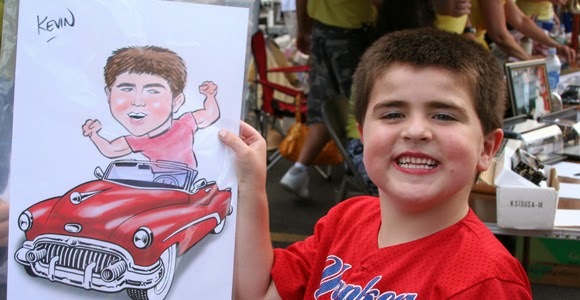 The event, which included a car display, music, raffle ticket sales for the benefit on Saturday and a contest for best car, was held to aid the family of Gabrielle DiCarlo, who was diagnosed with a rare form of cancer at the age of five. Saturday’s event will be the 11th annual car show held by Neighborhood Cruisers, which began as a club for car enthusiasts and received nonprofit status to provide community-based fundraising for local children. Club members learned of Gabrielle’s condition through word-of mouth and voted to hold the annual benefit in her honor. Gabrielle and her family were present at Monday’s car show, enjoying the music, food and car display. Her mother Nicole DiCarlo offered thanks to Neighborhood Cruisers and the local community and organizations in general for the outpouring of support which the family has received and stated that Gabrielle has remained cheerful throughout her treatment and continues to inspire her family. “With everything that’s gone on with Gabrielle, it’s just amazing the way people have shined and shown how much they care, and we’re very close here,” DiCarlo said. Club president Bob DuBois stated that past club events have raised a significant amount of money for charitable purposes. DuBois also stated that pre-registration figures for Saturday’s event were higher than past years and indicated that community support for the organization’s goals has likely grown. “We want to see cars out, we pray for good weather, and the guys and girls will bring their cars out and have them on display for the event and again just for the [DiCarlo] family to come out and enjoy themselves and enjoy the benefit. That in and of itself sometimes boosts the family in what they’re going through,” DuBois said. The car show is free and will include food, raffles for prizes, a DJ, activities for children, and performances by Flat Five and other bands. Additionally, this is the first year when the benefit will include a swap meet. If you would like to register your car, motorcycle, or truck for the show, pre-registration is $20. Registration on the day of the event is $25 and will be from 8 a.m. to 12 p.m. Swap meet participants must set up by 8 a.m. and anyone interested in having their car judged must be registered and parked by noon. If you would like to make a donation, checks can be made payable to Neighborhood Cruisers c/o Cruisin’ For Kids Benefit 2012 P.O. Box 325 Tompkins Cove, NY 10986. Thiells, New York – Neighborhood Cruisers of Stony Point announce their 11th Annual “CRUISIN’ FOR KIDS BENEFIT” on SATURDAY August 4th. (Rain Date Aug. 11.) The event will be located at the North Rockland High School Thiells, New York from 8 A.M. to 4 P.M. Exit 14 off of the Palisades Interstate Parkway. Admission is free for spectators. The event will feature a Classic Car, Truck and Motorcycle show, live music by “Flat Five” and more. Children’s events featuring Merlin the Magical Clown, entertainment from Party Time along with food, ice cream and fun for the whole family. Also a raffle with cash prizes and a 50/50 with many door prizes. The Annual event hosted by the Neighborhood Cruisers Inc, a non-profit organization is held to raise money for local children with medical needs. This year’s recipient is Gabrielle DiCarlo. The Neighborhood Cruisers will be hosting their 11th Annual "Cruisin for Kids" Car Show at North Rockland High School in Thiells, NY on August 4th, 2012. The Car Show raises funds to help alleviate the financial hardships that come with having a child who has special needs. This year, the Cruisers have selected Gabrielle DiCarlo to be the recipients of this year's fundraiser.